Coffee hackers have arrived and they’re bringing along Bulletproof Coffee with them. Bulletproof coffee is a new, high-tech spin to our morning java mix. It’s supposed to help us with some of our New Year’s resolutions – to stay fit, lose weight, and become invincible as well. 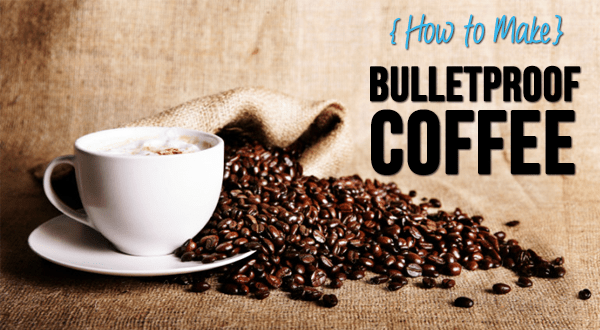 You’re probably scratching your head wondering what a Bulletproof Coffee is and where you can buy it. It really is not something you can purchase in stores. It is just a recipe that combines coffee, butter and triglyceride oil (MCT). The mixture looks like a latte, tastes a bit oily, contains 54 grams of fat and has 468 calories per cup. It may sound weird to hear that people are putting butter in their coffee. But advocates of this mixture say that it comes with big benefits. It’s not only satisfying, but kills hunger, eliminates jitters caused by high caffeine intake and keeps drinkers happy and energized all day. The biggest benefit of the drink is – weight loss. Research published in the American Journal of Clinical Nutrition in 1982 suggests that the nutrients in MCTs will help you lose weight or improve your body composition. However, there’s no magic bullet and MCT will not result in sudden fat loss. You will still need to be in a caloric deficit to achieve optimal results. As with all studies, there are some shortcomings to these findings. The studies that suggest MCTs will help you lose weight were too short and/or subjective in nature. More thorough research is therefore needed before we jump to any such conclusions. It’s importamt to remember that when you are using just a few ingredients you want to use the highest quality you can for each. Good Luck! Alex Noudelman is a Digital Marketing Manager with over 7 years of experience in social media marketing, copywriting, digital marketing, search engine marketing and education. Feel free to contact Alex Noudelman if you have any questions or would like to see a particular topic covered.